When I was pregnant, a lot of people were telling me that I should use my time wisely, because once baby arrives everything will change! EVERYTHING!!! 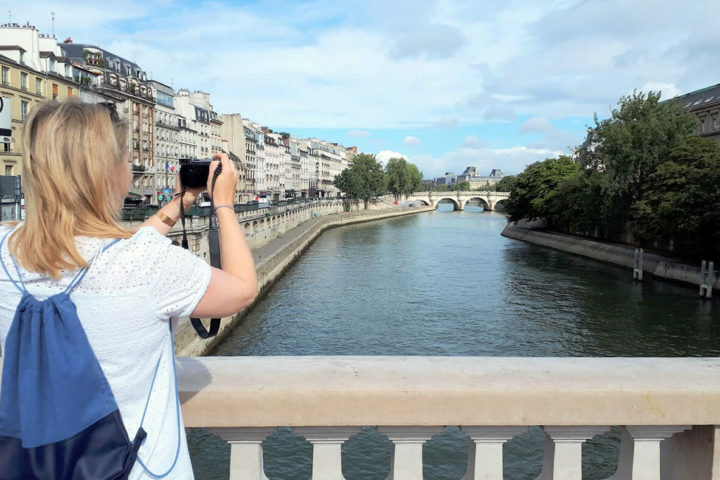 Luckily, when our little boy was born I realized that I’m still, more or less, the same person as I was, that I still love to travel and that all that frightening stories are completely wrong. Somehow, everybody forgot to tell you that you are getting totally funny new member of your family and that you will enjoy spending every minute of your time together. And this of course includes TRAVELING! # – 1,5 months old – The first trip we took together was a weekend trip to one of the most beautiful Dutch cities – Maastricht. At that point Karlo was less then two months old. 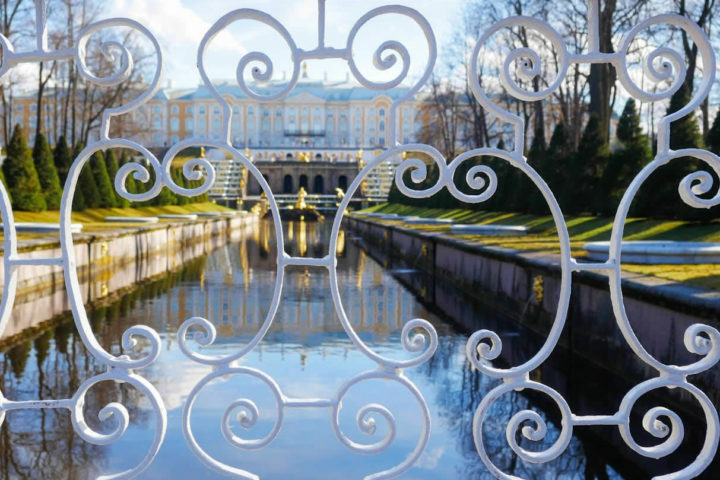 We went there to visit its famous Christmas market, but without any strict plans. At the end we manage to visit everything we wanted. We were choosing a spacious restaurants that could offer a suitable place to fed and change a baby. The baby that haven’t been so interested in sleeping at home, slept the most of the day there. We had a good rest and spent great time together. This is when we realized that this is our way of living and that, of course, our kid would most likely be like his parents. We get encouraged and started to plan some more serious trips. 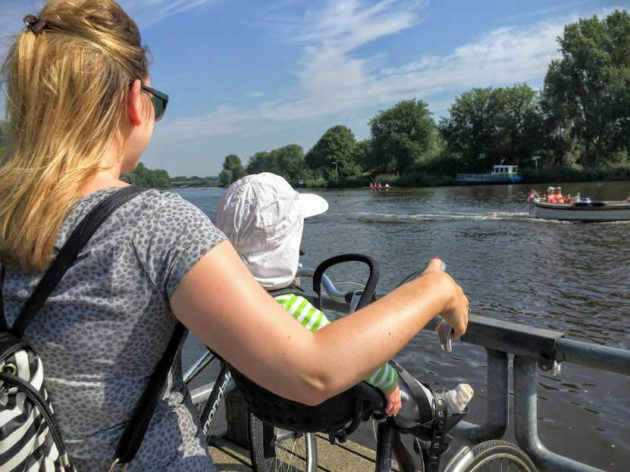 # – 4 months old –We took five days road trip to the Western Germany. 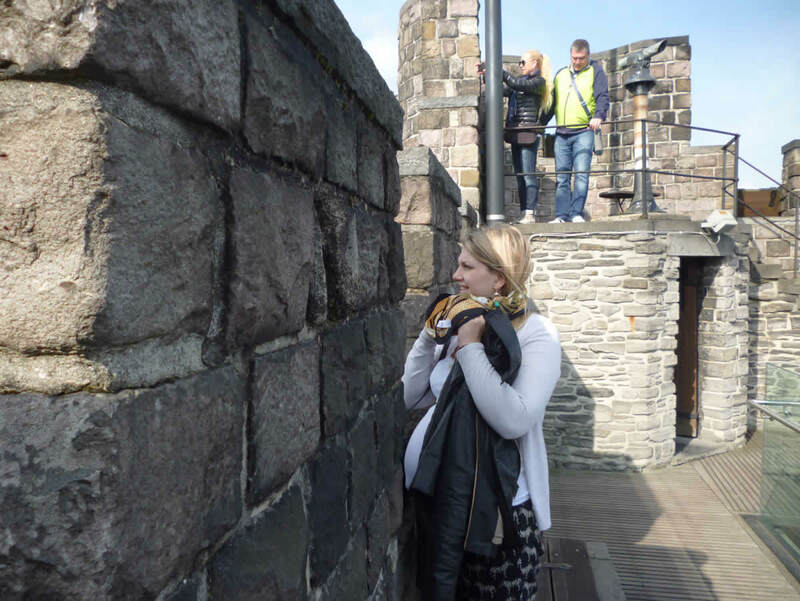 Like a true Medieval funs (well, to be honest, one Medieval fun and two that has to follow her) we were exploring the castles along the River Rhine. We were driving while baby was sleeping and were walking, playing and exploring the surroundings when he was awake. This formula worked great for us. 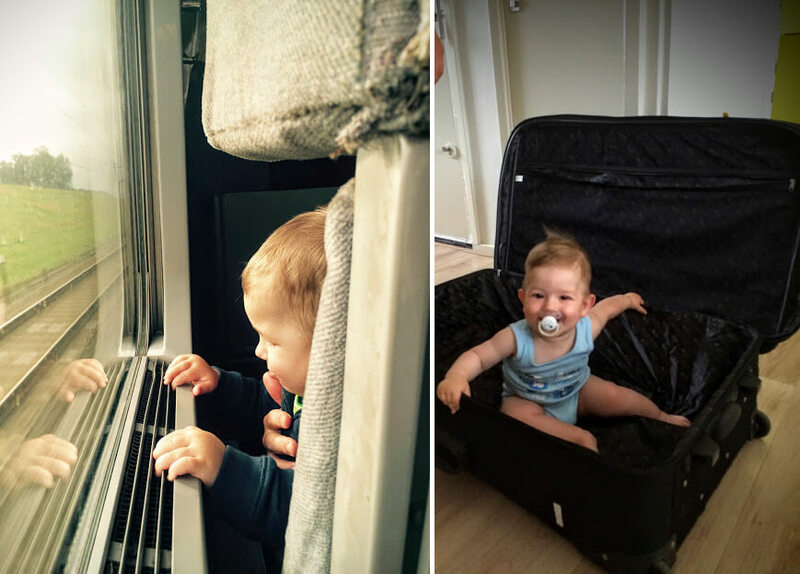 # – 5 months old – This time a new challenge came – his first flight. We went for a week to Croatia. I must confess, I was scared more than he was. But again, if you are following ‘baby rules’ for a plane everything should went smoothly. He fell asleep every time the plain took off. And since it was a short flight, he slept almost the whole time of it. We booked a hotel in the very center of the city. This way we could come to the hotel every few hours to fed him, change him and take a little rest. 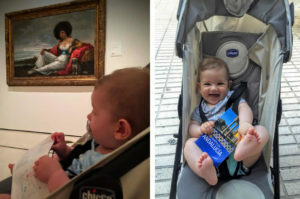 # – 6,5 months old – The following was a weekend trip to Brussels. 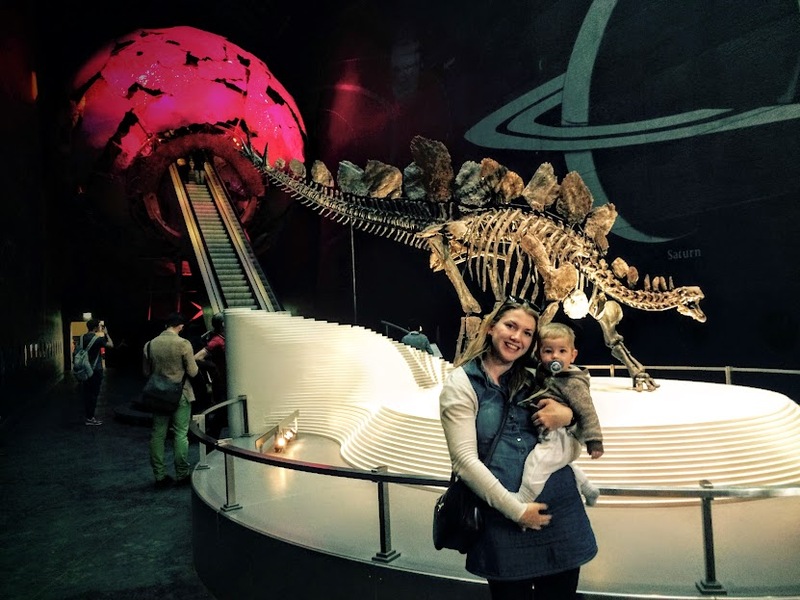 This was a perfect time to put a new challenge in front of us – we visited a museum together. He was in a baby carrier so he had a nice view. He was attracted by the colorful exhibits and especially amused by the other little visitors. 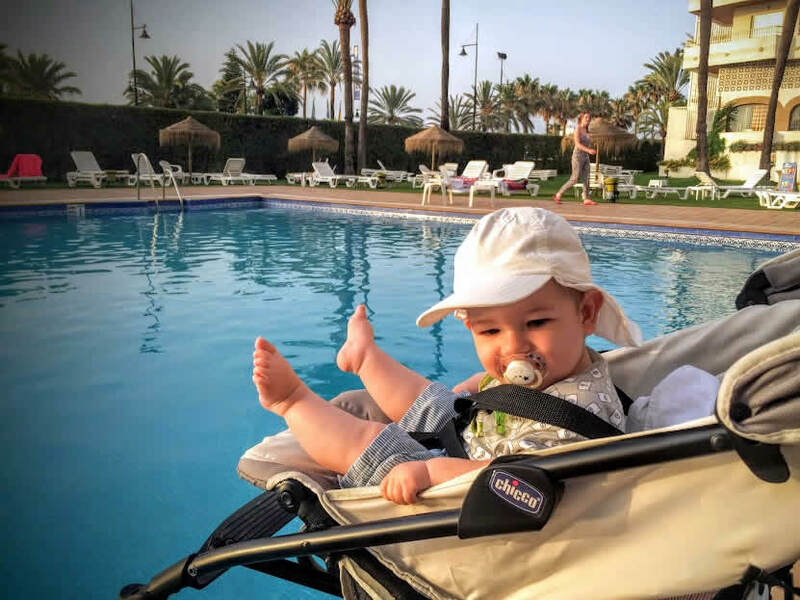 # – 9 months old –Summer holiday in Spain. This one was a little bit harder because we had only one suitcase and I was unsure of what to pack for him for ten days. And the thing that worried me the most was changing of climate. At that point it was around 20 degrees in Amsterdam and we were about to go to hot 35 degrees in Andalusia. But, like it always is, everything was fine at the end. Karlo was really enjoying swimming, and we were enjoying sunbathing next to the pool during his long naps (caused by his enormous excitement during the swimming time). And about the luggage issue – a really good advise here is that there is no need to take everything from home with you. You can buy almost anything in your destination. # – 11 months old – The last trip that all three of us took together was a week in London. It was again completely different experience. He was older now and in his ‘exploring phase’ so he needed a lot of space for crawling and playing (which means that apartments and suites are now working better for us, then a small hotel rooms). We were also spending more time in a city parks and museum playgrounds, because that’s what is interesting for him now. 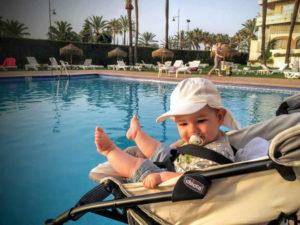 # – If you are enjoying traveling your kid would obviously like to do the same. They just love to spend time with their parents and if you are relaxed and happy it will be a huge fun for them as well. 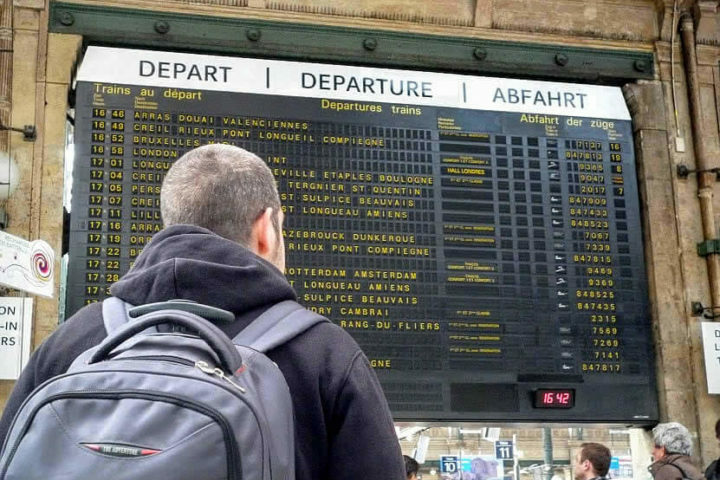 # – For a good trip preparation is crucial, but don’t stick completely with the plan. So take enough clothes, dippers and food, research destination and be relaxed. You don’t have to do everything from the list. # – You know your baby the best, so adjust the activities to him. When Karlo was two months old he was mostly sleeping in his carriage and we just needed quite place in restaurant so we can fed him and change him. 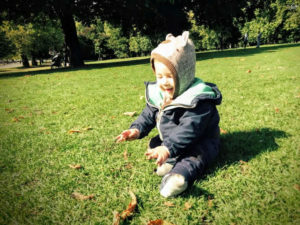 When he was almost one year old, we needed more activities for him – picnic in a park, children workshops in a museums, restaurants with children entertainment etc. After all the worries about how will you handle everything you will probably end up with a little wanderluster like I did. Now we are on the train almost every weekend and are truly enjoying our time together. Lumix GX80 Review: Is this the best small travel camera?